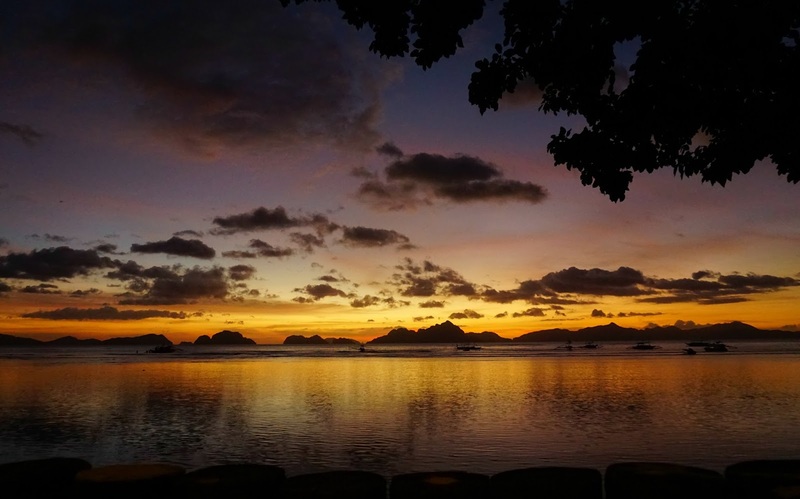 Welcome to my second post on our travels around the Philippines. 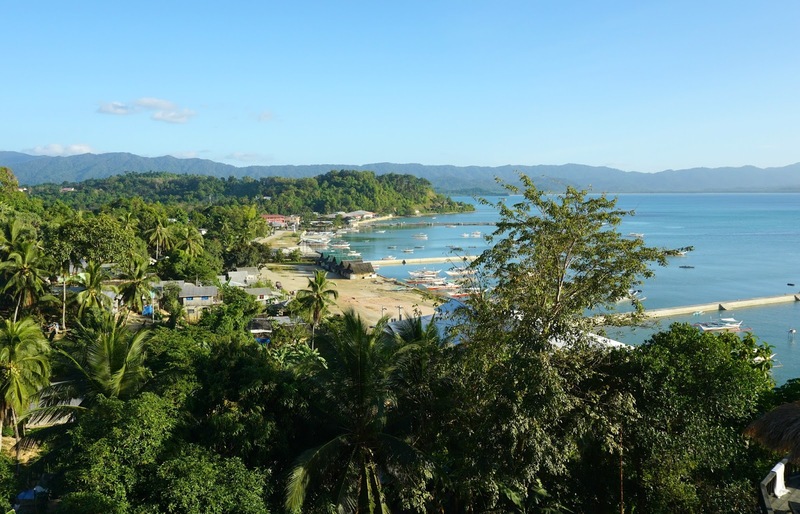 Last time I spoke about Puerto Princesa (the Palawan capital), our trip to Sabang and the underground river, and a little bit about Filipino food. 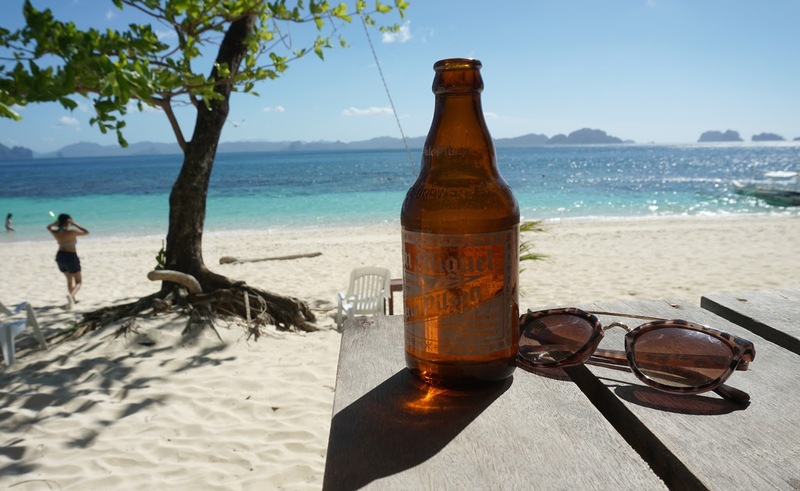 I couldn't squeeze everything into one post, so this time it's two other locations; el Nido and San Vicente. 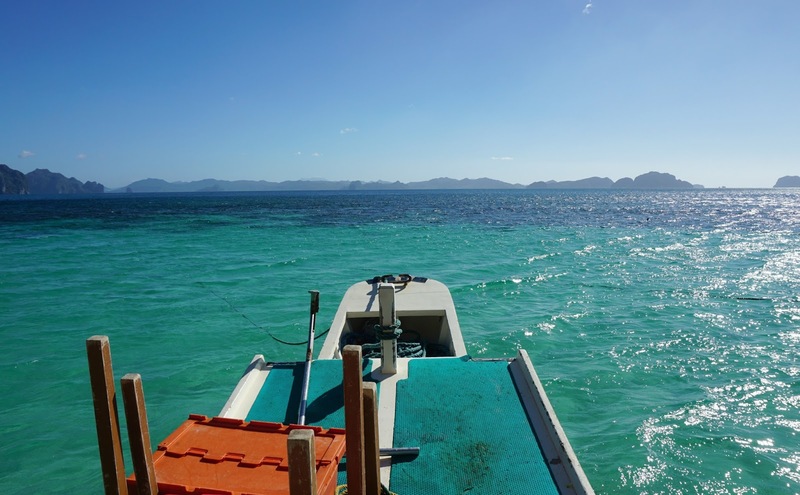 After a couple of days in Puerto Princesa - which FYI is probably enough, it's the capital but there's not a huge amount going on and the beauty of Palawan lies further north - we headed north to San Vicente. SV isn't a party town, in fact there is very little going on, but boy is it beautiful. Getting there was less idyllic, however! In my last post I mentioned the haphazard Filipino transport system, and this trip was really testament to that. Our hotel in PP were kind enough to organise a van to take us part way to SV. The van was going to el Nido, so we rode about half the journey with them before being dropped at what we were told was an interchange where we'd be collected and taken to our resort in San Vicente. In reality we were dropped on the side of the road next to a group of locals, none of which spoke much English, and had no phone reception. After about an hours wait we realised this transfer wasn't going to happen, so had to make the journey the only way that presented itself - by hopping on the back of two locals' motorbikes... Big backpacks and all. That forty minute ride through windy mountain roads felt like an eternity! The chaps taking us were very nice, but at one point when Rich's ride zoomed off out of sight, I did convince myself I'd been kidnapped. LOLing at the memory! We stayed at Peace and Love Resort in SV - fairly basic rooms, but a gorgeous infinity pool spilling over the view into the ocean. 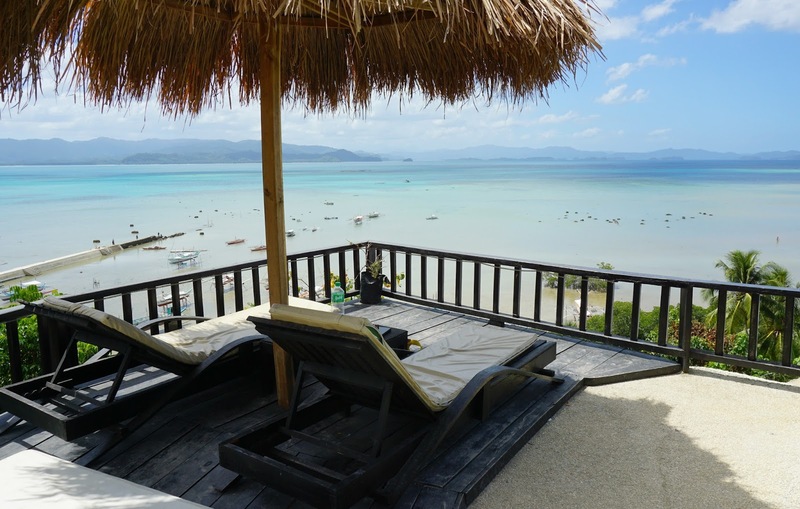 It made for the most incredible sun lounger views! Luckily the resort did good food, had free wifi and in the evening put on live music, as there isn't much going on in town itself. A few sleepy streets dotted with a handful of shops, a market and some local eateries. We stayed two nights here, providing the perfect little refuelling stop which we were in need of. 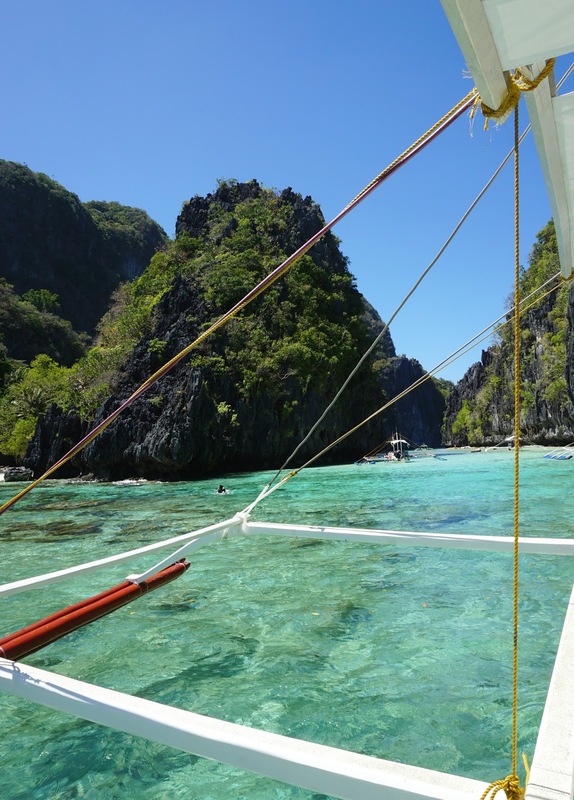 Another van will take you to el Nido - another two-three hours depending on how reckless your driver is! Ours in particular didn't seem to value his or our lives... or the rules regarding what side of the road to drive, speed limits, pedestrians... It was a nail-biting two hours to say the least! 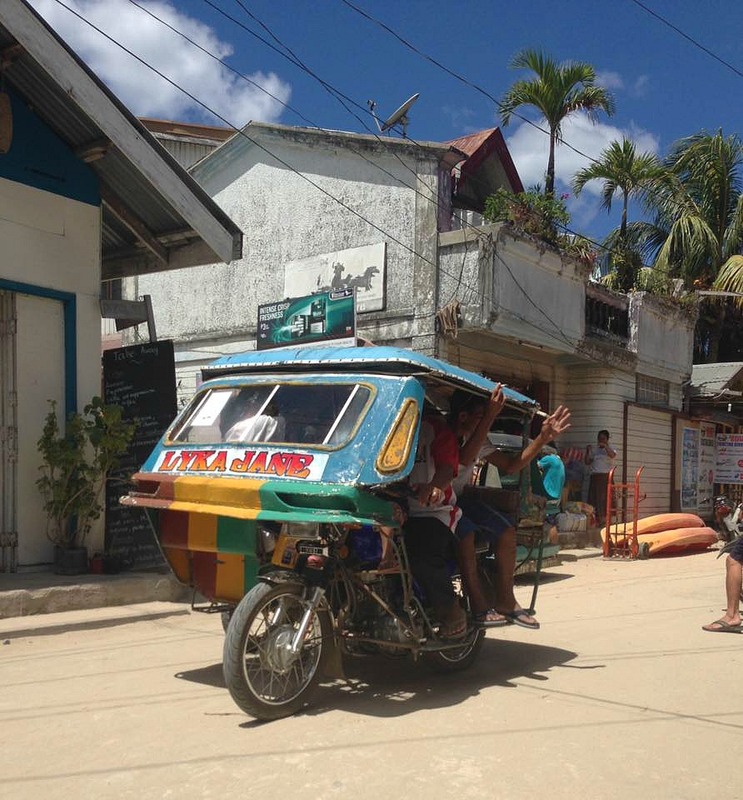 Arriving in el Nido was a shock; a rabbit run of tiny roads and alley ways, which were navigated by scores of Filipino-style rickshaw tricycles. An experience in itself but aside from walking or hiring a moped, the only way to get around. Don't be afraid to haggle with the drivers to get a better price! 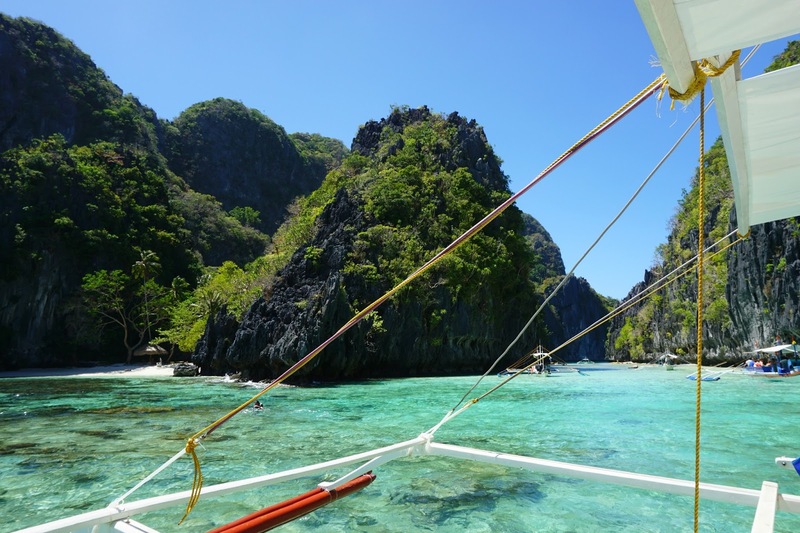 There is so much to do in el Nido, and we started our time with an island hopping tour. The road-side tour operators all offer the same price for the four main boat tours; A, B, C and D, and there is little/no haggling to be done. We did tour A which cost 1,200 pesos each. Prepare to be absolutely stunned by the views - the turquoise water, the white sands, the limestone karsts and abundant coral life. It's like nothing we've seen before, and as yet nothing has beaten it! Everyone seems to do tours A and C, tour C cost a little more at 1,400 pesos per person. Most tours include transfer from hotel (we were staying right by the beach so this involved a couple of guys collecting us and walking us to the pier! 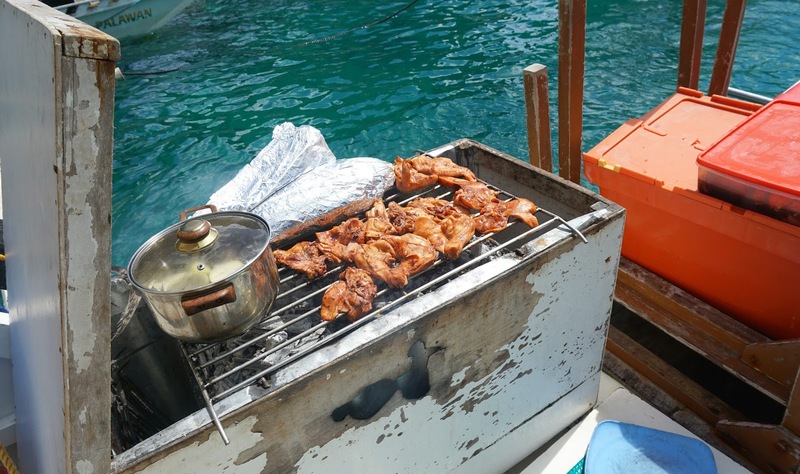 ), water, snorkels, and an incredible freshly cooked lunch on the beach. We feasted on a whole BBQ'd fish, chicken, mussels, rice, salad, roasted aubergine and fresh fruit - so delicious. It's worth taking a little cash with you on the trips as we were able to hire a kayak to explore Small lagoon, this seemed much more enjoyable and convenient than swimming. 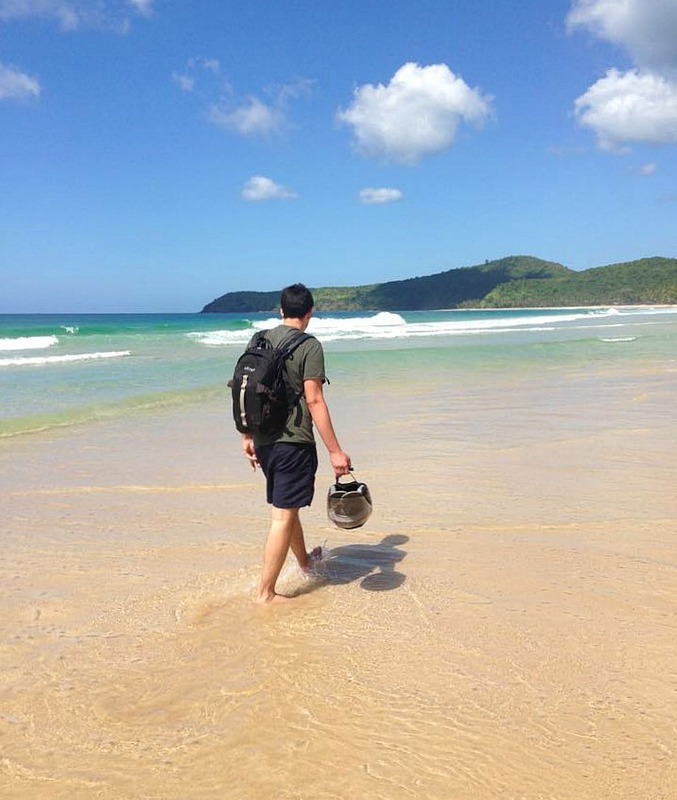 Also try and hire some aqua shoes (super cheap, from the road-side tour operators or your hotel) to protect your feet from the sharp coral underfoot at some of the locations. 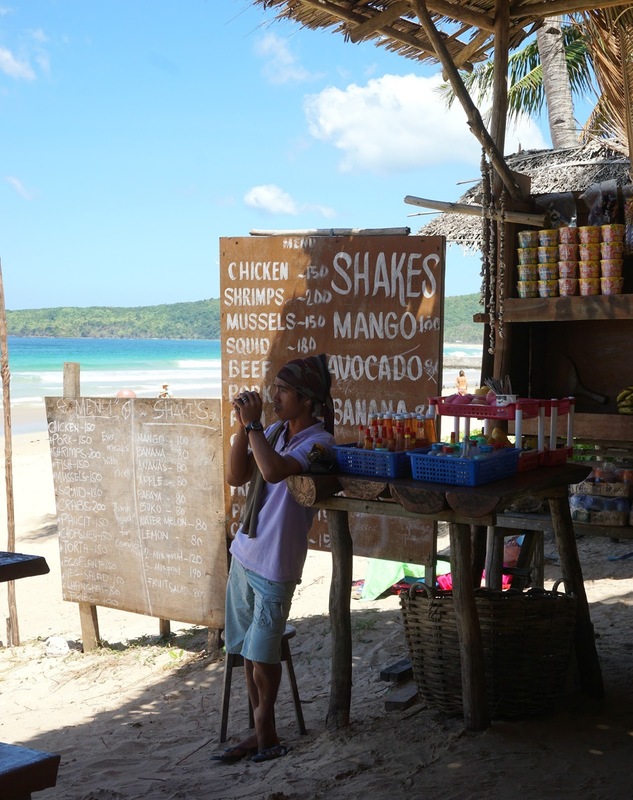 Other must-sees include Las Cabanas beach; a 10 minute tricycle ride from the town, the place to go for sunbathing, sea and a relaxed beach vibe. 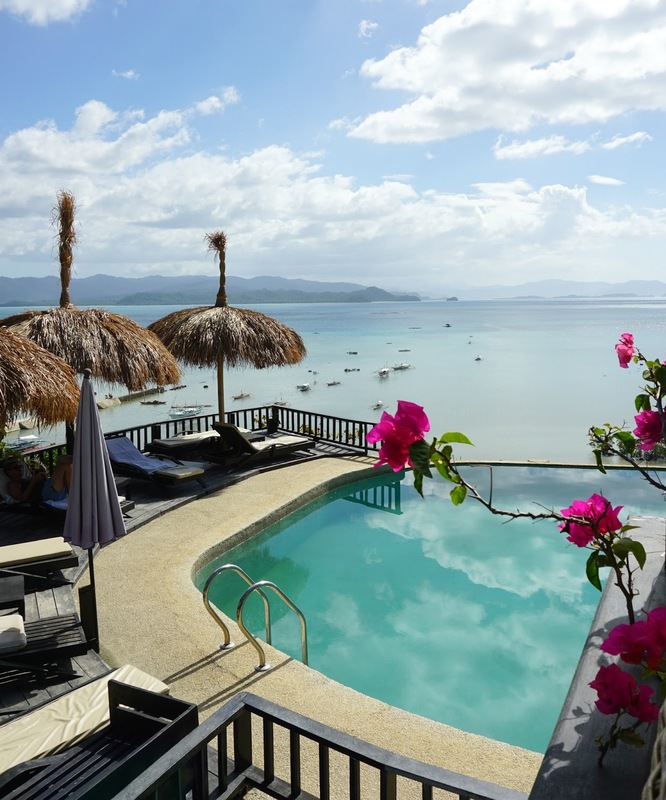 There are a handful of bars to buy drinks and snacks at, or hire sun loungers to chill on. There's also a zip wire that travels over the beach and sea here, for the more adventurous! Don't be afraid to haggle the cost of the tricycle ride. Nacpan beach and Duli beach; we hired a scooter to visit these, but you can get to Nacpan by (a very long!) tricycle ride. About 45 minutes by scooter, and a further 30 minutes to Duli, they were worth the journey. At Nacpan beach we ate freshly cooked fish for lunch, and at Duli had a drink in the one resort tucked away at the end of the practically deserted beach. Totally blissful! Dinner on the beach in el Nido town; select your own fish, they BBQ it right in front of you, whilst you chill at your table with your feet in the sand. 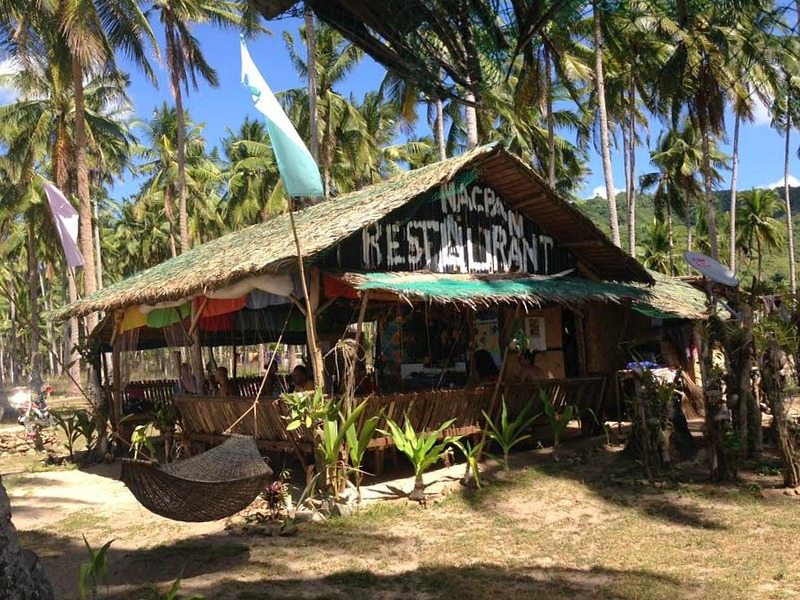 Art Cafe; as many travel guides profess, this is the hub of el Nido. 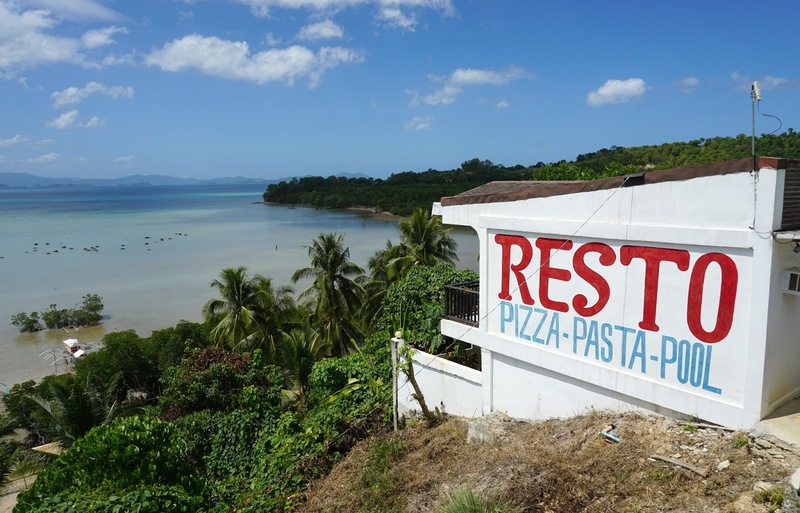 Good food (their chicken curry was spot on), live music and a great atmosphere, you can either sit in the outside seating by the water or up in the first floor restaurant with balcony overlooking the sea. Would I go back? In a heartbeat! As I said, we only visited Palawan and next time would love to see what Cebu, Boracay and more have to offer! Next time - Penang, Malaysia. Oh it looks fabulous! It's on my list of places to visit. Your post is amazing and the photos beautiful! We are doing this trip a the end of the year and i was wondering where you stayed in El nino or are there any other (affordable) places you could recommend?